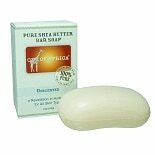 To experience all the benefits of 100% pure West African shea butter, Out Of Africa Soap is the perfect choice for everyday use. When Victor Lulla and Gilles Adamon joined forces to produce and distribute West African shea butter products through their new company Out Of Africa, the miracle moisturizer started turning heads in the beauty industry in America. The socially responsible company produces skincare products of exceptional quality while supporting women's cooperatives and providing healthcare and education to children in West Africa. Whether you are into gardening, have a busy life looking after your family, value the importance of cleanliness or just want the best products to keep your skin clean and properly hydrated, Out Of Africa Soap is exactly what you need. All Out Of Africa Soap products contain the highest quality shea butter to moisturize and clean your skin gently and naturally. 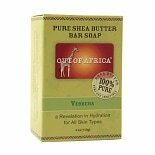 Formulated carefully without harsh ingredients, Out Of Africa Soap is a good option for people with sensitive or easily-irritated skin, or those with jobs or lifestyles requiring frequent hand washing throughout the day. The unrefined shea butter in Out Of Africa Soap contains nutrients including vitamins A, E and F, antioxidants and essential fatty acids. Shea butter is prized for providing excellent hydration to help with dry, chapped skin. It can also promote better elasticity for youthful-looking skin. It leaves behind a protective, moisturizing layer without a sticky residue. 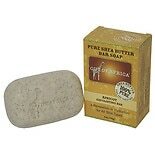 Made of natural ingredients, Out Of Africa Soap does not have any parabens or sulfates added. The nuts from karite trees are processed by simple methods then boiled to separate out the shea butter, ensuring that the inherent goodness remains in the final product. Out Of Africa Soap bars and hand wash are either unscented for sensitive skin, or infused with the delicate aromas of vanilla, lavender, lemon verbena, geranium, tea tree or apricot. If you want to share the beneficial properties of shea butter with those you love, Out Of Africa Soap makes an ideal gift for someone who cares about their skin and enjoys using premium natural products. 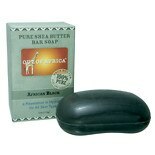 Nourish, clean, revitalize and moisturize your skin every day with Out Of Africa Soap.